Thanks to my buddy Kenny I now own an original Microsoft XBox. Kenny gave it to me because the DVD drive was bad. I was able to swap it out and can now say that I have played Halo. Now I just need to get Knights of the old Republic 1 & 2. 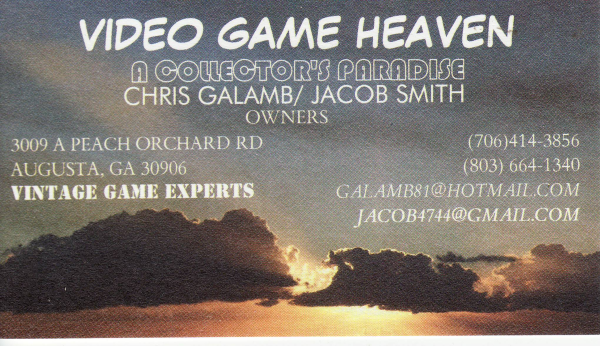 Also there is a new retro-game store in Augusta, Video Game Heaven! I highly recommend stopping by and checking them out.